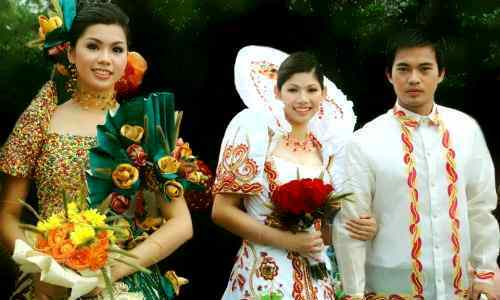 And Philippines Weather Is Fine"
Flores De Mayo can meet your simple-to-elegant festival quests. It is a festival keenly engraved in Philippines history. It’s a time when the land is teeming with flowers and fine Philippines weather. It has become one of the national symbols of the Philippines. The festival is a Catholic event held in the Philippines for the whole month of May in honor of the Virgin Mary. 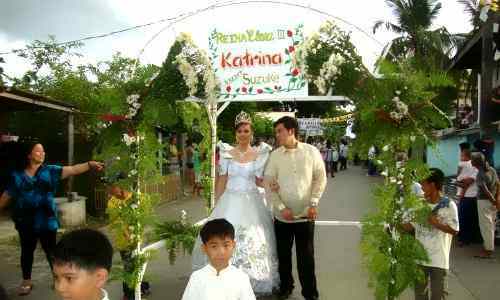 It culminates in a religious-historical-cultural procession/parade and pageant called Santacruzan… where the winning beauty is crowned Reyna Elena. The Santacruzan is that part of the festival that commemorates the finding of the True Cross of Christ in Jerusalem in 321 AD by St. Helena, the mother of Constantine the Great. The Spaniards introduced the festival in Malolos, Bulacan in 1867. Everyday young Filipina girls would make floral offerings to the Virgin Mary in the parish church. Since then, it became a Filipino tradition… a forming giant of Filipino culture. The Roman Catholic Church declared the dogma of the Immaculate Conception in 1854. Not long after that, Spaniards practiced a devotion to Virgin Mary called Flores de Maria. The devotion is characterized by offering flowers to the Virgin Mary for the entire month of May each year. 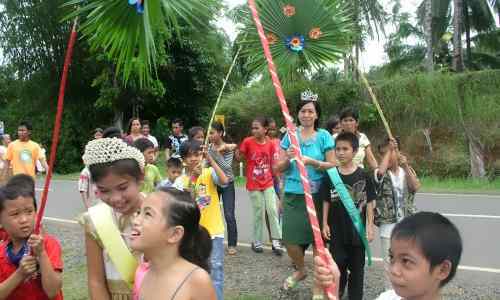 The Flores de Mayo has reference to the founding in 321 AD of the very Holy Cross on which Jesus Christ was nailed into, by Saint Helena, a Marian devotee, and mother of the first Christian Roman emperor Constantine the Great. The devotion could have been named Flores de Agosto because the feast day of St. Helena is August 8. However, when the devotion was brought by the Spaniards to the Philippines, the anniversary fell on May 3. 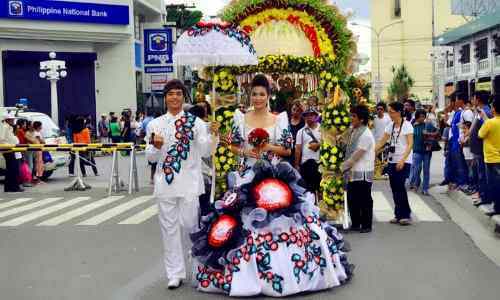 When the pioneering Filipinos institutionalized its celebration, they embraced the Mexican version called Santa Cruz de Mayo. This Mexican influence led to the absorption of the Santa Cruzan practice into the present Filipino Flores de Mayo devotion. The combined Marian devotional practices of Spanish and Mexican origins led to the formation of the festival as an entirely, unique Filipino Marian devotion. It is in itself an enduring trademark about the Philippines. The festival started in Bulacan in 1867 after Mariano Sevilla published his translation of the Spanish devotional literature of the Flores de Maria. Since then, it is observed throughout Luzon, Visayas and Mindanao. Some Filipinos practiced it abroad too… in England, Europe and the Americas for example. The exact English translation of this festival is Flowers of May Festival. It is suggestive of a flower event in the summer month of May. It is Catholic Marian devotion about flower offerings to the Virgin Mary. 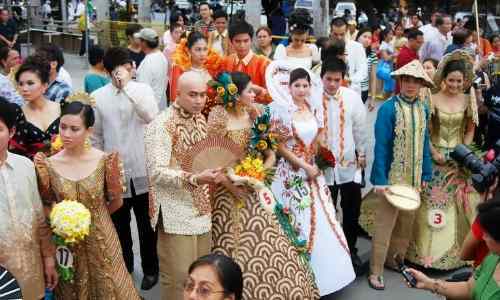 When the Spanish friars introduced it to the Filipinos, it was first done in the month of May. There were plenty of flowers everywhere. The nation-wide practice involves people in a community gathering in the church on afternoons praying the rosary and offering flowers to the Virgin Mother. Afterwards, they share whatever food they have brought along. Each day, children bring flowers to the church and place them in the center aisle. 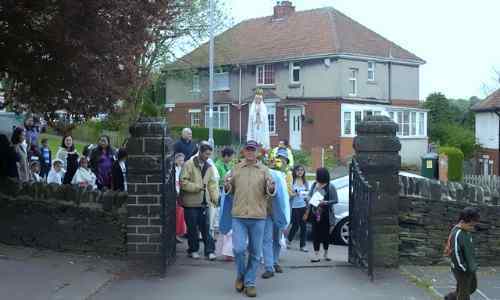 The children broadcast petals for the Virgin Mary as they walk the lane. Santacruzan highlights the Festival. The spiritual significance of it is a 9-day prayer called Novena as its starting point. Then a procession follows. It’s a colorful pageant parade which begins from and ends in the church. Devotees and other people joining the procession/parade, carry lighted candles while praying the rosary and singing songs of praise. After the entourage has returned to the church, an evening mass follows to conclude the event. Then the town mayor hosts a dinner party. The parade is marked with hand-carried bamboo arcs decorated with flowers. The sagalas (muses) and their escorts walk under those arcs. A music band usually accompanies the entourage. This procession is the Santa Cruzan. It highlights the Festival. 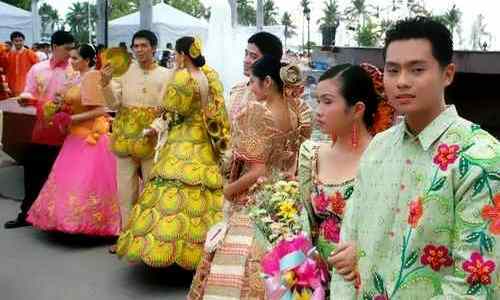 It is a pompous event resembling a fashion show, a parade or a cultural fair rolled into one… all constituting a festival, a forming giant of the Filipino culture. Are extraordinary in meaning and significance… being great creations of top Filipino couturiers. The touch is not just local… global too. They are giant expressions of Philippine art. This festival is peculiar to the Philippines. It is celebrated annually ONLY by Filipinos… country-wide and severally abroad. 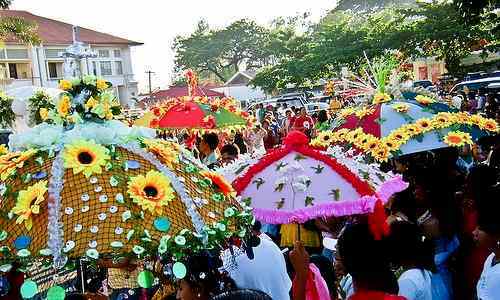 It is aptly called Queen of Filipino Festivals for its vast commemoration in-country and abroad. Flores De Mayo can meet your simple-to-elegant festival quests. If you love flowers, the festival will naturally fit your person. Watch it… it’s uplifting. It can make your Philippines vacation a rewarding one. It is an enriching event to watch or join. 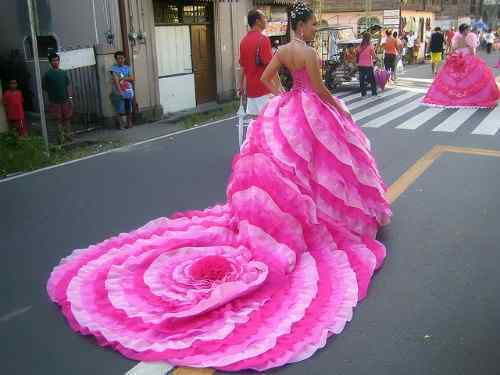 Want to see a Flores de Mayo in the Philippines? Come SEE, LIVE, OR INVEST IN THE PHILIPPINES.